The Blind Pig on Poland Street is the ‘hidden’ top-floor cocktail bar above Social Eating House, a popular Soho dining spot, part of Jason Atherton’s growing empire. 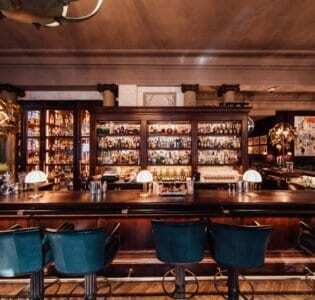 Drinks come care of mixologist Gareth Evans and the room is handsomely decked out, all brown leather and concrete. Entered via an unmarked separate door (look out for the optician’s sign and the boar door knocker), it’s an atmospheric space, and while the name is reference to American speakeasies, it doesn’t feel heavy-handed in this regard. While the inventive cocktails include a Thermo Nuclear Daiquiri, a punchy blend of over-proof rum, spiced pineapple falernum, absinthe, and lime, and the infamous Cereal Killer, a drink made with coco pop laced milk and served in a milk carton. There’s a dash of the theatrical to many of the drinks. The bar food menu meanwhile includes on-trend dishes like pulled pork sliders and smoky chipirones. 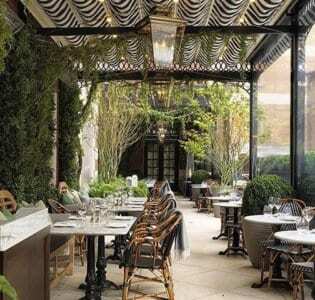 The downstairs space is a buzzing bistro offering an altogether more affordable and egalitarian dining and drinking experience to Atherton’s spendier venues in Mayfair and the City.